THE FOUR MOST ESSENTIAL TECHNIQUES FOR STRATEGIC BUSINESS ANALYSIS - Azmi Consulting Inc. Organizational efficiency is the primary objective of all organizational processes, and to accurately gauge the level of productivity of a business, or any projects that it may be involved in, companies often employ business analysis tools and techniques. Through business analysis, they can map out and understand an organization and scout profitable opportunities, as well as identify potential problems. It enables a pathway of communication and provides a precise representation of the business, its structure, and its policies to all stakeholders involved. Business analysis is a good way for a company to weigh costs against benefits for any projects and steer the enterprise in the correct direction. There are various types of business analysis; Strategic, Tactical, Operational, and Root-cause, to name a few, however, we will only delve into strategic business analysis over the course of this article and look into some important tools necessary for it. The strategic business analysis primarily deals with the project planning phase and includes everything done to analyze and maximize the profitability of a business. With strategic business analysis employed correctly, an analyst can identify the key strategies necessary for achieving the objectives set for a business. It assists the decision-making process by providing significant information, gathered after thorough scrutiny. While various techniques and tools are now available, I have listed the four most essential and commonly used tools. SWOT is perhaps one of most analyst friendly – and therefore one of the most widely used – techniques. SWOT analysis provides a good contrast and equation of comparison between the internal and external environments for a firm. Through this technique, one can map the strengths and weaknesses of an organization, which make up its internal environment, and compare it to the opportunities offered, and threats posed externally. SWOT takes into account all the factors that affect a project both currently and in the future and contrasts them against each other to give results. PEST analysis provides a wider perspective on a business environment predominantly focuses on external factors that may affect a business. The socio, economic and political conditions that a business exists in have a considerable impact on the progress of a business, and they often at times play an imperative role in the success or failure of a venture. PEST makes it easier to study the market environment, and the influence it may potentially have on a business so as to better guide an enterprise in making the right decisions. Businesses can always alter their direction by working on and, with time, improving these four avenues. MOST is an efficient tool used to analyze the internal environment of a firm and to evaluate and evolve a business in the correct direction. With this technique, a business can discern the gaps in their strategies, and the shortcomings in their approach. This technique identifies the stakeholders and beneficiaries of the business and evaluates how the business can impact them. It helps firms find the correct objectives that would bring maximum profit to all interested parties. It also recognizes the main individuals or the core team that would be involved in making the change. It brings into account the effect this transformation would have on them and in turn the business itself. The technique further helps analyze any chain reactions that may be set into motion as a result of a process that might affect other processes, the market, the environment etc. 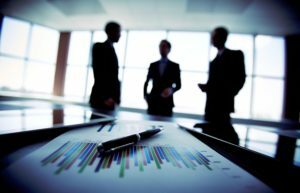 By employing these strategic business analysis techniques analysts can help businesses chart a course to successes by analyzing and perfecting their aims, preventing potential threats, and devising a better strategy. With effective risk analysis of both the internal and external environments, and by studying the impact of business decisions on the people involved, they can help set goals that bring maximum profit and generate ideas with the most effective outcomes!